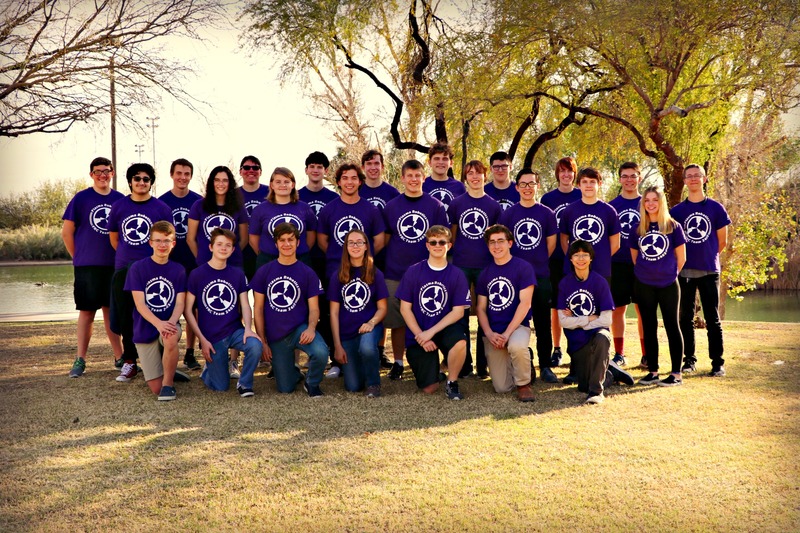 Plasma Robotics is a FIRST Robotics and Zero Robotics Team from Mesa, Arizona. Students from Red Mountain High School and other nearby schools such as Mountain View High School and the Mesa Academy involve themselves in the widespread robotics program, learning the engineering process and having fun while doing it! In our 10th year, Plasma hopes to continue to have a positive impact on its team members and the community. We are most proud of the countless lives we have been able to touch throughout the years from all reaches of our community. Since our inception in 2008, our membership has grown from only 5 members then to upwards of 50 today. Many of our current members and alumni can speak multiple languages (both spoken and programming languages). Our current team members are deeply engaged in a wide variety of clubs and activities on campus, with most participating in several activities concurrently in addition to other activities outside of school. Several members are even involved in other sports from Tennis and Badminton to Soccer and Football. Plasma Robotics works diligently to promote FIRST and STEM education throughout our local community and throughout Arizona. We involve ourselves in the SciTech festival held throughout the valley every year, showcasing our robot and getting younger kids involved in the FIRST community. Along with this we have been invited to the Phoenix Zoo for several years spreading the FLL, FTC, and FRC programs to younger kids and young adults through our "Robot Driver Licenses" that have information regarding how to get involved with FIRST. Through all our outreach and team experiences we try to spread the FIRST Spirit and Values of Gracious Professionalism and Coopertition to our team members and those we meet. As a team we have made it a goal to host a FLL Tournament every year since 2012. Since then, our tournaments have become some of the most popular in the valley. Our annual FLL regional is consistently one of the quickest to fill up and is considered the best ran FLL Tournament in the state of Arizona. Plasma's yearly activities are not free, and as such, Plasma Robotics relies deeply on our donors and sponsors who provide us with the capital to keep our team alive. You can see a list of our current sponsors here.